He has been honoured as Canon Ambassadors – a small group of world-renowned photographers whose work and ethos has proved an inspiration to others. The divides his time between his beautiful home in a leafy suburb of Nairobi and a cottage in the Masai Mara, Africa’s finest wildlife area. 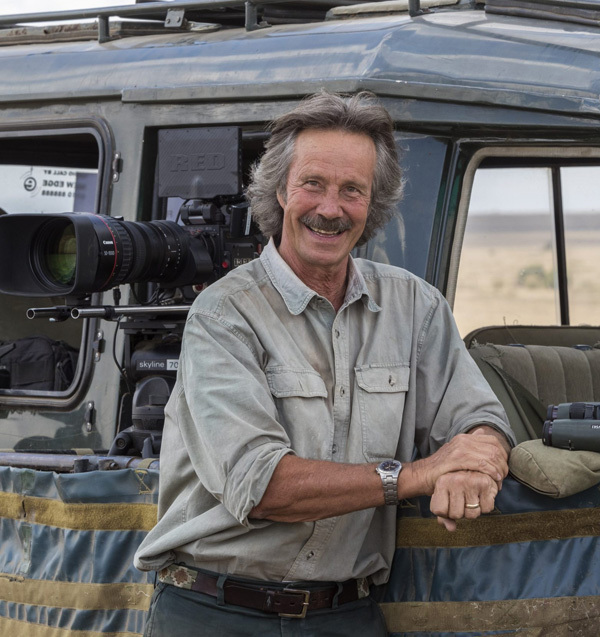 The Mara is the location for many of the popular TV series that Jonathan has presented for the BBC, Animal Planet, Discovery Channel, Paramount TV and Turner Broadcasting including Big Cat Diary, Elephant Diaries, Big Bear Diary, Dawn to Dusk, Flamingo Watch and Africa Watch. With over 40 years experience with big cats in the Masai Mara, he is undoubtedly the best person to have share his knowledge with you on a safari to this wildlife haven.